Bird Box, one of the newest original movies from Netflix, has proven to be a tremendous hit for the streaming service. The premise of the movie is that survivors in a post-apocalyptic landscape can only survive by wearing blindfolds when traveling outside. This obviously creates many challenges for those trying to avoid eye contact with unseen creatures, which results in a horrific death. Some internet users have since taken to posting videos of themselves trying to complete various tasks while blindfolded, referring to it as the “Bird Box challenge.” Worried about the safety of those taking part, Netflix has since issued the following warning on Twitter. It’s important for everyone to remember that Bird Box is just a Netflix movie. The actors in the movie are performing with their actions closely monitored by a crew. They’re not risking serious injury in the same way others are by filming themselves doing wacky challenges while blindfolded. Falling down an open stairwell or even wandering into traffic are just a couple of ways that doing this can go horribly wrong. Putting yourself in harm’s way for the sake of a social media post, however, is certainly not worth the risk, and you don’t want to be the person who goes to the hospital for trying to recreate Bird Box. Walking aimlessly outside with a blindfold is simply not a good idea. That so many people are emulating Bird Box is bizarre, but not exactly surprising. Netflix is touting viewership numbers claiming over 45 million people have watched the new movie. Its popularity has since become a phenomenon in itself, and with so many people watching, it’s natural a handful of them are going to turn it into a meme. As of now, there are no reports of anyone being seriously injured doing the challenge, and Netflix is apparently trying to curb it before it happens. 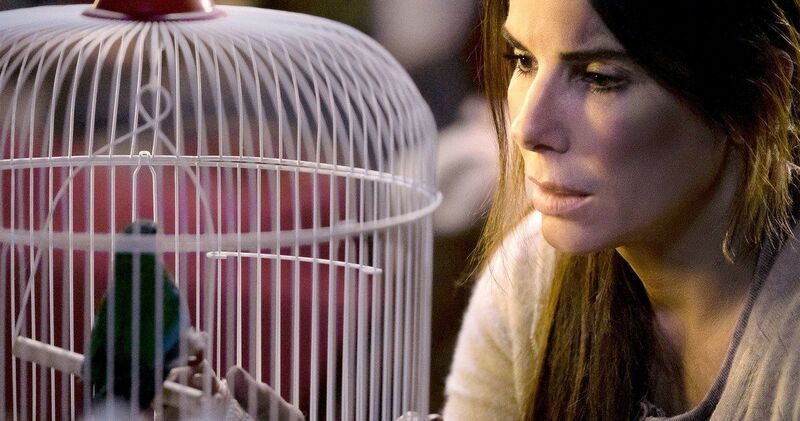 Bird Box is based on a 2014 novel, and is very faithful to the source material. In the film, Bullock stars as a mother trying to raise two children in a world overtaken by horrific creatures. While the entities can’t physically harm people, one look at them results in being driven suicidally (and sometimes homicidally) mad. The mother’s journey to guide the kids to safety requires traversing in a rowboat while completely blinded, using her other senses to lead them towards a supposed sanctuary. In addition to Bullock, the cast includes John Malkovich, Sarah Paulson, Danielle Macdonald, Trevante Rhodes, Lil Rel Howery, B.D. Wong, and Machine Gun Kelly. Everyone seems to be well aware of the movie by this point, as those who’ve yet to see it have at least heard about it. With countless memes shared on social media, the movie is one of the most-talked about films in recent memory. You can watch Bird Box anytime on Netflix if you still have yet to do so. You can take a look at their “Bird Box Challenge” PSA below!